This summer, here in Saint Louis, The Catholic Theological Society has met in June and the Leadership Conference of Women Religious (LCWR) will meet in August. Both organizations are know for hosting speakers and conferences that are often at odds with the Magisterium of the Catholic Church. A cursory look at their websites will verify this and it is well know that the LCWR is under investigation by the Congregation for the Doctrine of the Faith. 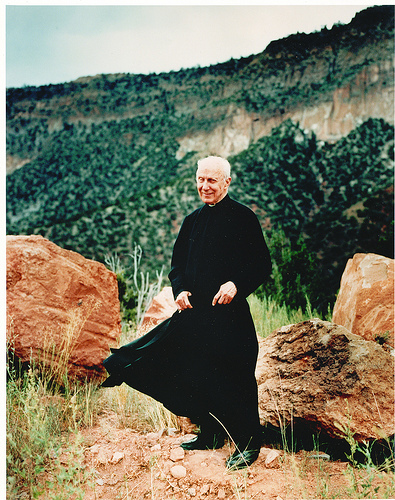 Theology and religious life were two very special interest for the Servant of God, Father John A. Hardon, S.J. His seminal work, The Catholic Catechism and his founding of The Institute on Religious Life attest to this concern.That the two organizations mentioned above are meeting in Saint Louis this summer, is a reminder that the crisis which has affected the Church over the last forty years is still very much with us. It is true, there have been some signs of hope in recent years, new communities, colleges and other organizations loyal to the Magisterium of the Church have come into being. It is unfortunate, but many of these organizations are still marginalized in the Church. Pope Benedict XVI has called for a Year of Faith to begin this October. He has said: The Year of Faith will give “renewed energy to the mission of the whole Church to lead men and women out of the desert they are in and towards the place of life: friendship with Christ who gives us the fullness of life”. As we prepare for the Year of Faith let us read Father Hardon’s words about faith: To believe means to accept with our minds what someone tells us it true. When we believe because we trust a person’s knowledge, we call it human faith. When the one we believe in is God, we call it divine faith. In the Year of Faith 2012-13 let us pray for an increase and depending of our own faith and the faith of others.